The villagers noticed the body of the 36-year-old woman floating in the lake on November 29.The flesh had been partly eaten by fish, which made them fear infection and decide to empty the lake. 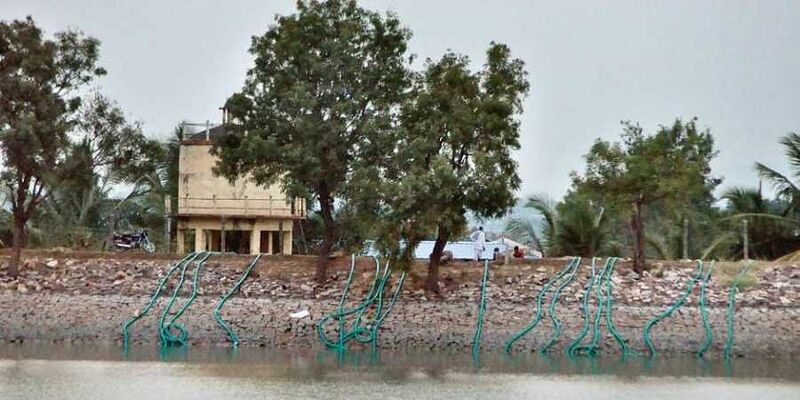 DHARWAD: Residents of Morab village in Dharwad, located 30 km from the city centre, are currently on a draining task.They have lowered pipes to empty the Jagirdar’s Lake in the village, which is the only source of drinking water for its people. The villagers undertook the job after the body of a woman, who is thought to have been infected with HIV, was found floating in the lake. The villagers noticed the body of the 36-year-old woman floating in the lake on November 29.The flesh had been partly eaten by fish, which made them fear infection and decide to empty the lake. In the last four days, more than half the water from the lake has been drained out. Last year, a boy had drowned in the same lake but no hue and cry was made over use of the water at that time, Ravi Kagadal, former panchayat member, said. “Due to the fear of infection, the villagers don’t want to use the water, and are releasing it,” he said. Panchyat Development Officer Nagaraj Bidralli said that the panchayat members and staffers tried to convince the villagers against it, but they did not pay any heed.“The villagers themselves took the initiative by providing pipes and other equipment required to pump out water from the lake,” he said.Dr Spoorti Havaldar, a physician in the village, said that the water can be used after chlorination treatment.